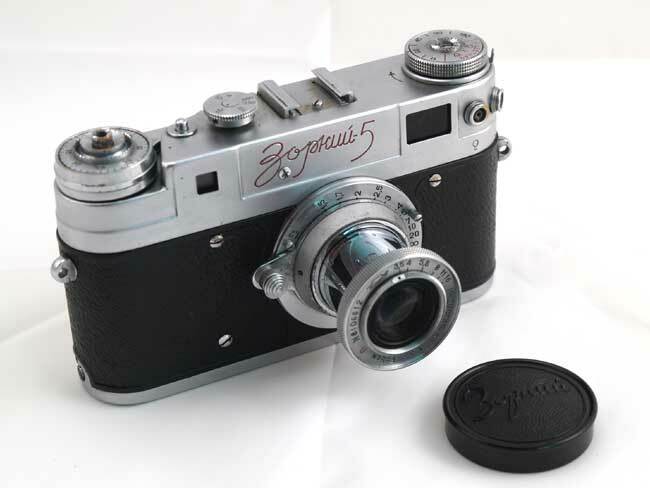 The Zorki-3 was introduced in 1951. 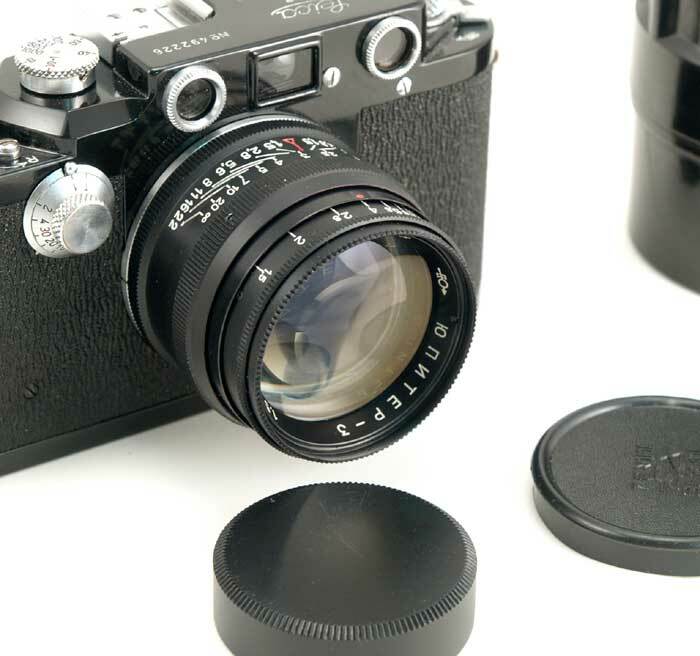 At that time the most common rangefinder cameras in the Soviet Union were Zorki and FED, both close copies of Leica II (D). Zorki-3's design was a real breakthrough. It was slightly larger than Zorki, but it had many new features that Zorki/FED lacked - a bright, large, combined RF/VF, a removable back, a diopter adjustment of the viewfinder, a set of slow speeds and a high quality fast lens - Jupiter-8. The body and the back were cast and rigid. 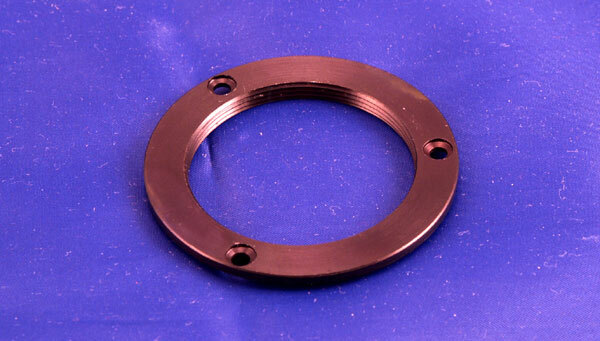 The 39 mm Leica thread mount was preserved, so Zorki-3, as any Zorki rangefinder, is fully compatible with the LTM lenses. The slow speed mechanism was obviously "borrowed" from Leitz (Leica IIIc), the actual delay mechanism was located at the bottom of the camera and coupled with the shutter controls with a long rod. 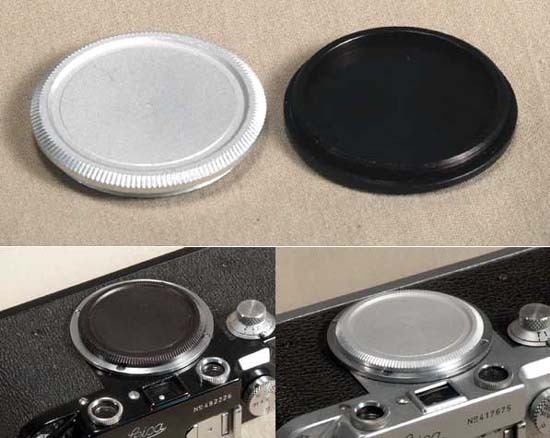 The shutter had two dials - on the top of the camera for the fast speeds, and second - on the front for the slow speeds. The Soviet version of this design did not work well and needed service more often than the original Zorki. So Zorki-3 acquired a reputation of a somewhat unreliable camera. It looks normal to me - the first model of a new design can surely have some design flaws. 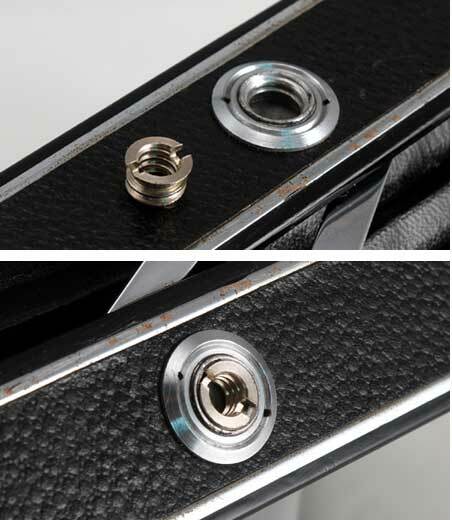 By 1954 a new delay mechanism was introduced - it was located under the top plate and all the speeds were set by the same dial. Zorki-3 becam e Zorki-3M. 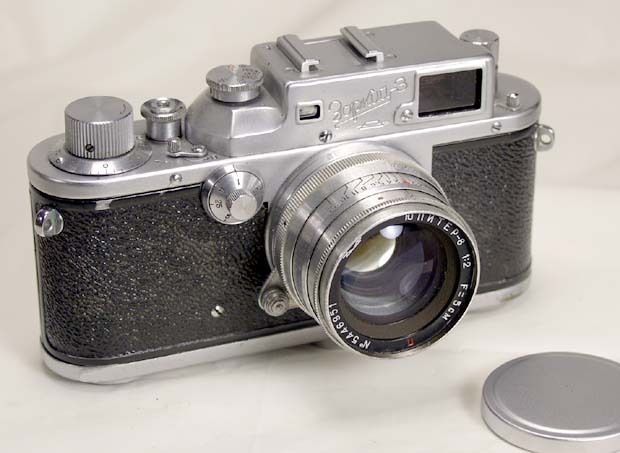 Around 1955 all the cameras made by KMZ and FED were fitted with a flash synch mechanism (Zenit-S, Zorki-S, FED-2 type b), and so was Zorki-3M, which became Zorki-3S. A self-timer was added to this camera in 1956 and it finally became a Zorki-4, which was a very successful model with over 1.7 millions copies made from 1956 to 1973, and after that over half a million Zorki-4K's made in 1972-1978. Zorki-4K was the last RF made by KMZ, and outlived Zorki-5 and Zorki-6. And it all started with a Zorki-3 in 1951! Shutter speeds: D, B, 1-1/1000 (B, 1/25 - 1/1000 on the top dial, D, 1 - 1/10 on the front dial). Please note: for normal shutter operation, KMZ recommends changing shutter speeds after the film is wound and the shutter cocked. Lens: Jupiter-8, 50/2, coated, Zeiss Sonnar copy in LTM. Early version with a focusing lever. This Zorki-3 was made in 1954. 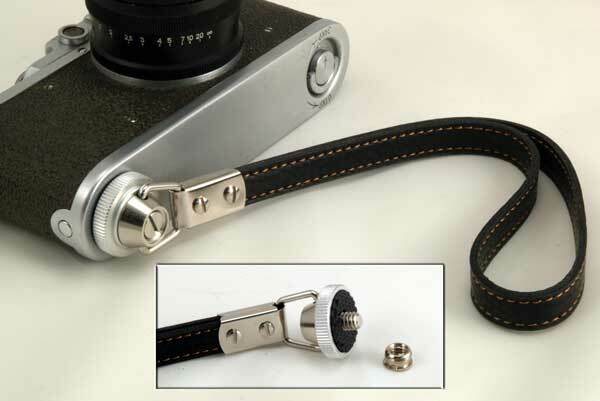 The camera comes complete with a take-up spool and a lenscap. 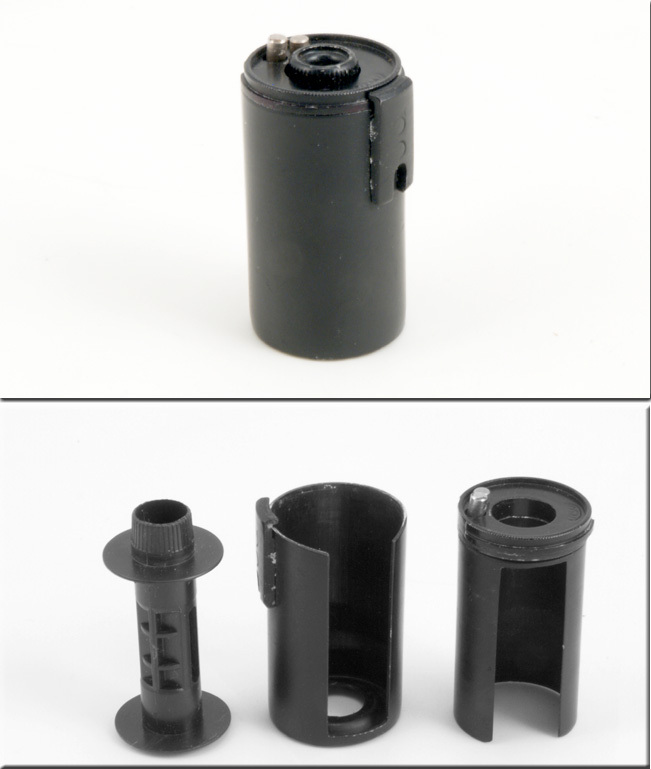 The Zorki-3 was produced in small quantities and is quite uncommon now. And it is the ONLY Zorki with a separate slow speed dial. This is a good opportunity to own this fine user and a very uncommon Soviet Leica.